This is a 8′ double walnut crotch executive desk with inlaid butterflies. This tabletop came from recycled material from Pennsylvania. 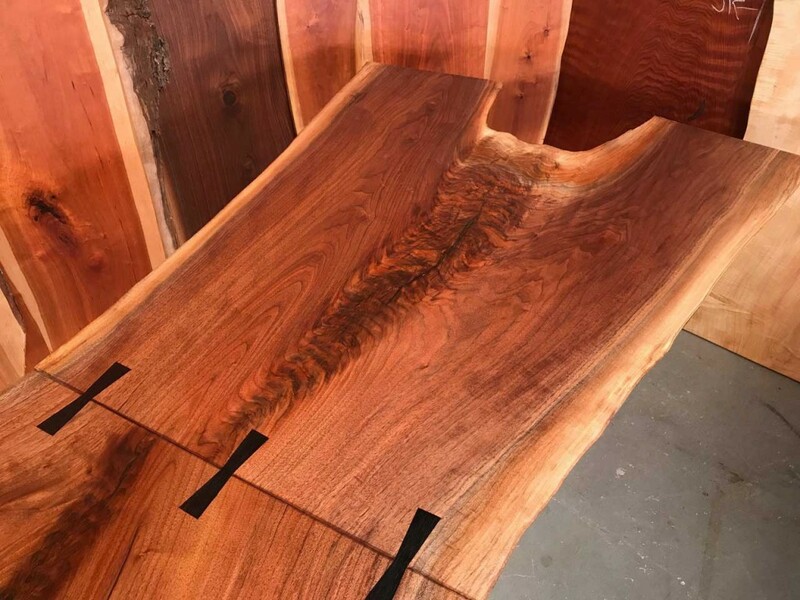 Many of our slab tops are from storm-damaged trees from around the country. This is the biggest Siberian elm I have ever seen. 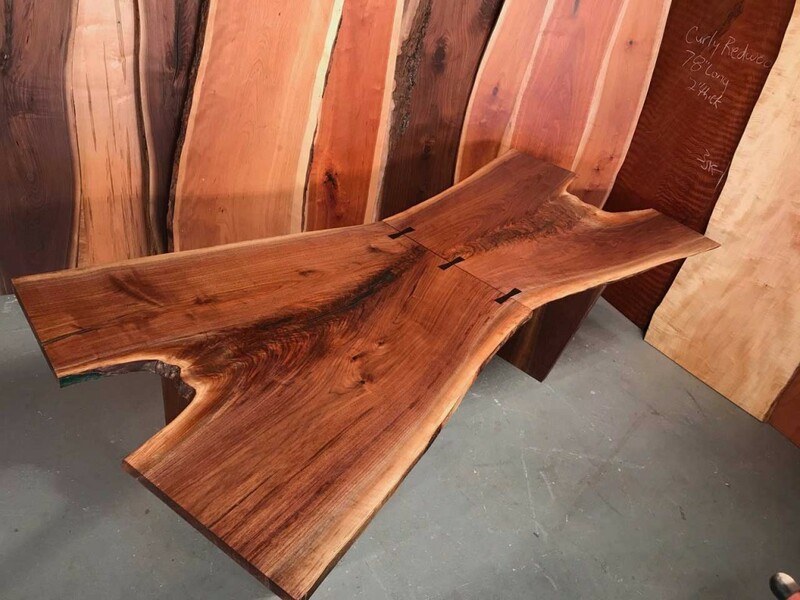 We have a large inventory of tabletop slabs to choose from. Call today to inquire about sale pricing.